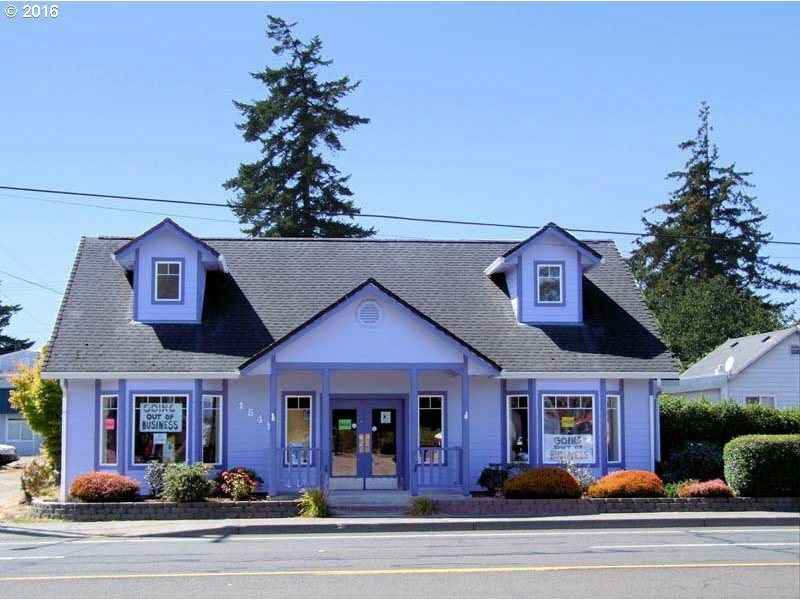 Newer commercial building located on west side of busy Hwy 101 in Florence, Oregon. Over 1700 sq ft of retail/office area. Open floor plan with vaulted ceilings and sky lights and 2 bay windows. Office area with storage cabinets, 1/2 bath with additional storage. Upper level has high dormer ceilings. Newly painted 2016 & nicely landscaped.